Bada Bing pomade is a family owned and Brisbane based product that spent close to two years in development in search of the highest of quality. And it’s safe to say they found it! 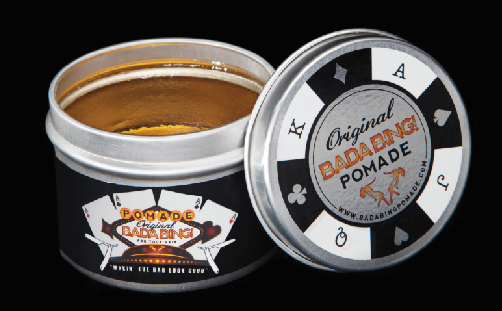 With an addictive vanilla butterscotch scent, firm hold and nice shine, Bada Bing pomade AIN’T just another water based pomade!